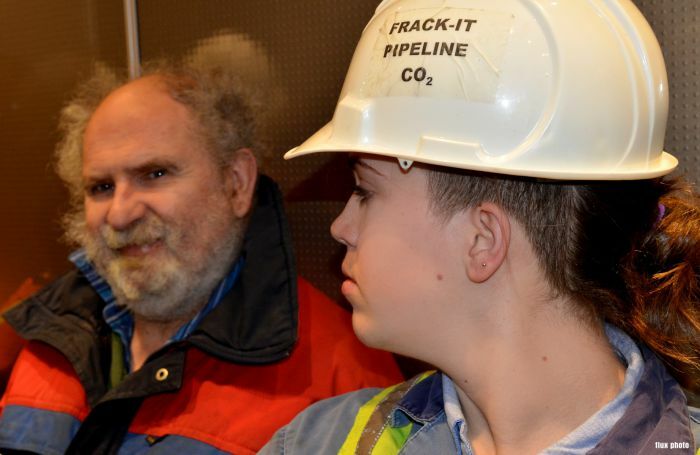 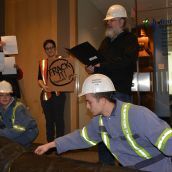 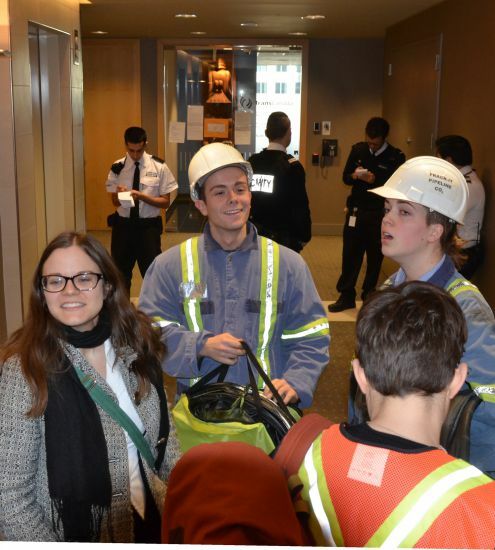 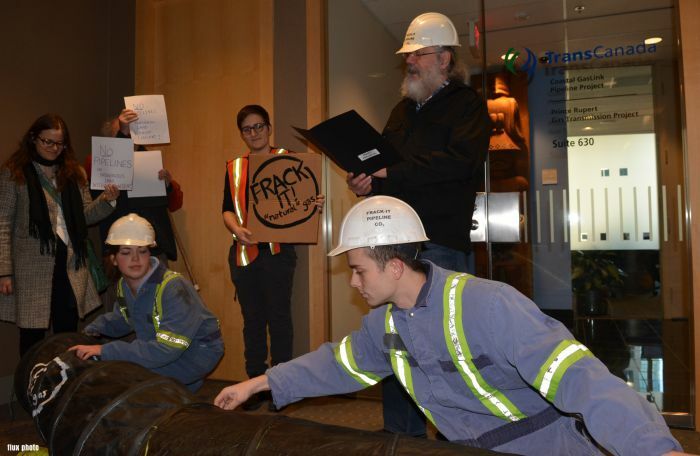 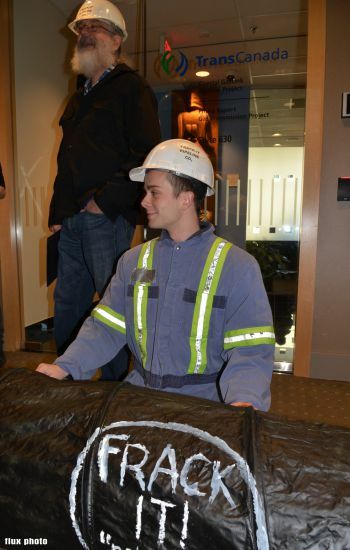 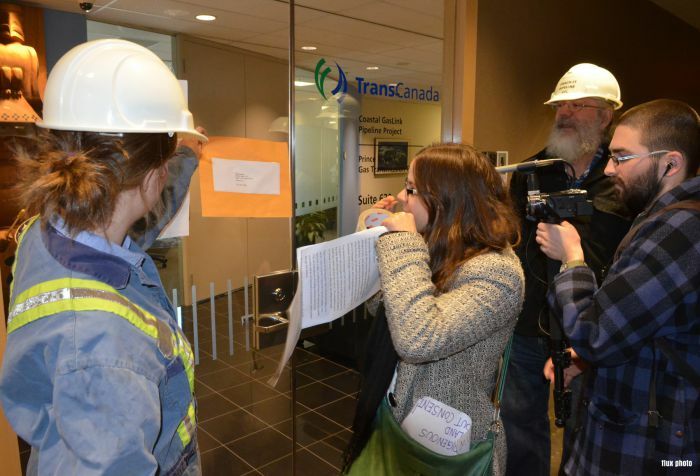 COAST SALISH TERRITORY - Rising Tide activists visited Chevron and TransCanada offices in downtown Vancouver today as the BC Oil and Gas Commission laid the blame for a 4.6 magnitude earthquake on fracking. 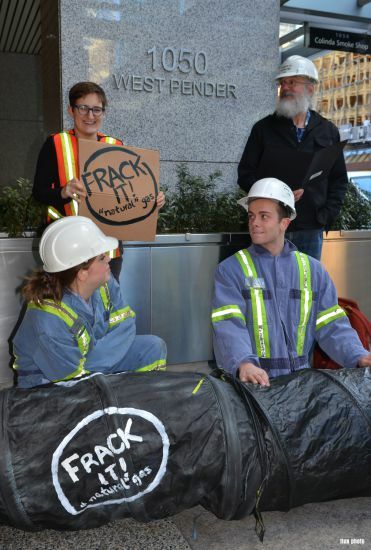 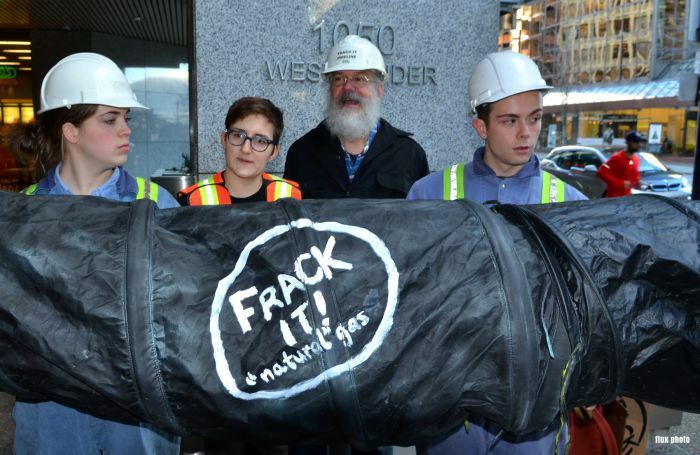 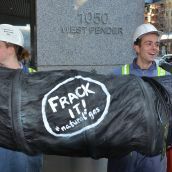 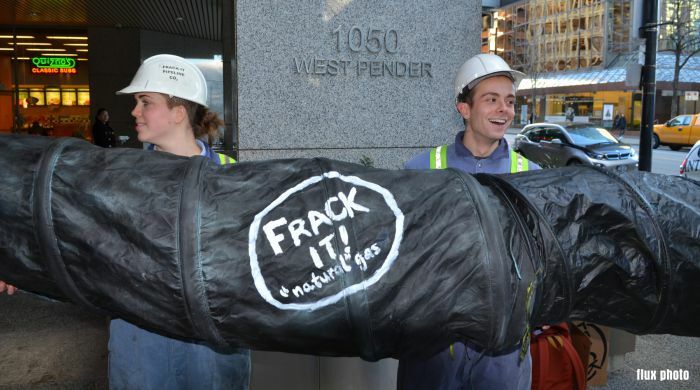 The group used street theatre to present a "Frack It! 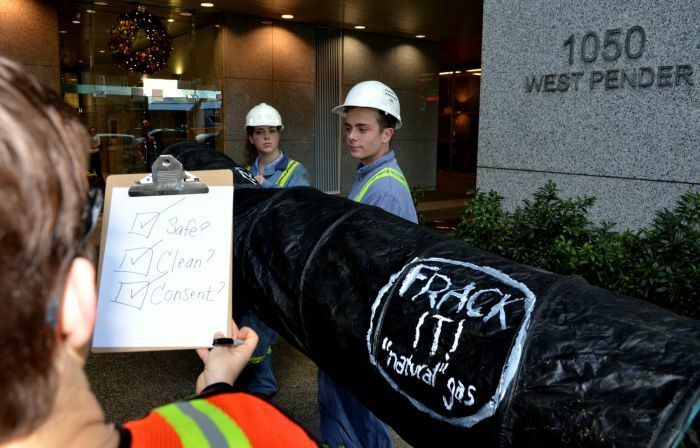 Pipeline Co" pipeline build complete with a leaky pipeline and a rubber stamp advisor for safety and consent. 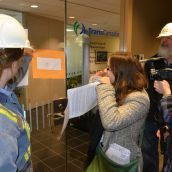 The BC Oil and Gas Commission has concluded that the August earthquake near Fort St John "was caused by hydraulic fracturing." 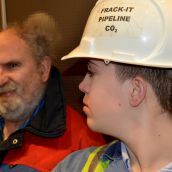 Despite cliams by the BC government, studies have linked fracking to earthquakes in Britain and the U.S. as well as B.C. 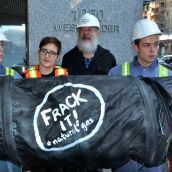 The 4.6 BC quake is believed to be the largest on record so far that was caused directly by hydrolic fracking for LNG. 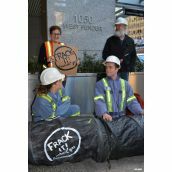 "We stand in solidarity with these courageous people who see the devastating impacts that fossil fuel expansion is having on the land of Indigenous people all over Northern so-called British Columbia. 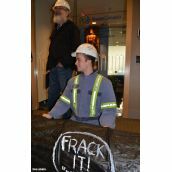 Tar Sand development and oil extraction are devastating communities and wildlife in the North. 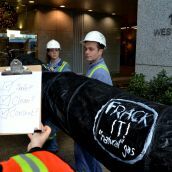 Fracking is destroying the water, causing increased health concenrs and contributing to climate change."